Prisoners’ Centre for Studies revealed yesterday that Israeli prison authorities have forced Palestinian prisoners to complete hard labour which is not part of their sentence. In a report, the organisation said that this started in 1967 when Palestinian prisoners were forced to work in the military’s metal shops and carpentries to produce and repair military equipment. Raafat Hamdouna, a former prisoner in Israeli jails and current director of the Prisoners’ Centre, said that the detainees were also obliged to make carpets, iron the clothes of prison officers and clean their rooms, but this ended in the 1970s as the prisoners protested against this and a number died in the process. Palestinian prisoners wanted to work in prison facilities related to their detention, Hamdouna explained, including the bakery and kitchen, however they have been refused this and instead Israeli detainees work there. Israeli occupation army has refused to disclose the rule of opening fire at peaceful Palestinian protesters along the eastern borders of the Gaza Strip, Israeli newspaper Haaretz reported on Sunday. The refusal came after a petition filed by a number of Israeli and Palestinian rights groups to the Israeli High Court of Justice requesting clarification of policies regarding demonstrations being held as part of the Great March of Return which was launched on 30 March in Gaza. Responding to the petition, the Israeli army said that the policy regarding the use of force along the Gaza border is “confidential”. It insisted, according to Haaretz, that the rules of engagement in this regard could only be disclosed in a closed court session. Rights groups, including Human Rights Watch and Amnesty International, have repeatedly called on Israel to stop using live ammunition against peaceful Palestinian protesters in Gaza. Some 45 Palestinians have been killed in the past five weeks of demonstrations as part of the Great March or Return, with some 5,511 others injured, including at least 592 children. The planned six-week protest, which began on 30 March marking Palestinian Land Day, is set to end on 15 May – the 70th anniversary of the Palestinian Nakba (Catastrophe), in which more than 750,000 Palestinians were forcibly displaced by Israeli forces in 1948. Palestinian Authority (PA) President Mahmoud Abbas has called for children to be kept away from the protests on the Gaza border, citing the risk of children being shot, according to theJerusalem Post. Abbas said in a speech yesterday at a meeting of the Palestinian National Council. “I don’t want the upcoming generation to be a handicapped generation,” he said, referring to the dozens of reports that Israel has been targeting protesters in their knees and legs, suggesting intent to disable them for life. Gaza doctors have noted the severity of many of the injuries caused by Israeli forces; over 1,700 people have been injured as a result of live fire, causing wounds not seen since Israel’s “Operation Protective Edge” in 2014. 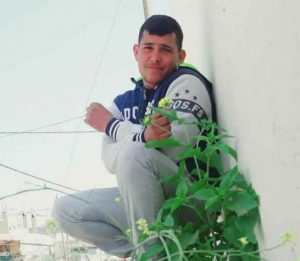 Last week, 12-year-old Abdel Rahman Nawfal lost his left leg after being shot by Israeli forces while he was near the border with his friends. The bullet exploded below his knee, causing irreparable damage to the tissue. Despite being taken to two hospitals in Gaza, before being transferred to the West Bank for treatment, doctors were unable to save his leg and were forced to amputate the limb. Nawfal told reporters from his bed in Ramallah that he hoped to become a doctor and would still like to try and work towards that goal. 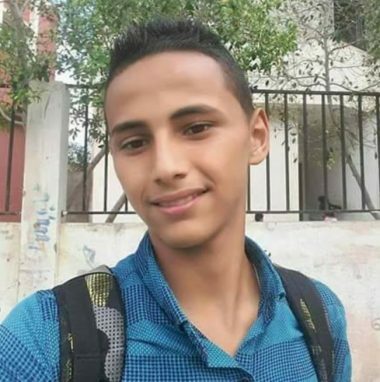 The Palestinian Ministry of Sport further revealed on Sunday that Israeli occupation forces have shot and wounded some 30 Palestinian athletes in the Gaza Strip; some have also had to have their limbs amputated, including 17-year-old Attallah Fayoumi who had dreamt of becoming a football player. The ministry went on to call on the international community and human rights groups to stand up for and “protect Palestinian youth, children and women”. Israel has claimed that Hamas is using the protests as a cover to launch attacks against the border fence and that civilians are being used as human shields, however no evidence has been provided to verify this. Israel on Sunday stripped four Jerusalemite officials of their permanent residency under the pretext that they are not loyal to Israel, local human rights groups said. Lawyer Fadi Al-Qawasmi said that Israel’s Interior Minister Aryeh Deri revoked the residency of MPs Mohammed Abu Tir, Ahmad Attoun and Mohammed Toutah as well as former Minister of Jerusalem Affairs Khaled Abu Arafa. Al-Qawasmi said the decision came after the Knesset approved a new bill earlier in March that gives the minister the power to strip the residency of anyone he views as being involved in “terrorism” or “anti-Israel acts”. According to Al-Qawasmi, the Israeli Supreme Court in mid-September 2017 overturned a decision to revoke the residency of the Jerusalemite MPs. However, it decided to give the Israeli government a time limit to enact a law that gives the Interior Ministry the authority to strip any Jerusalemite of their residency. The Palestinian lawyer described the bill as “unfair” and “illegal”, saying that it was applied retroactively. He affirmed that the officials will oppose the decision in court. Haifa district court approved yesterday a request by Israeli Defence Minister Avigdor Lieberman to extend the administrative detention of two Palestinian citizens by three months, reported Arab48. 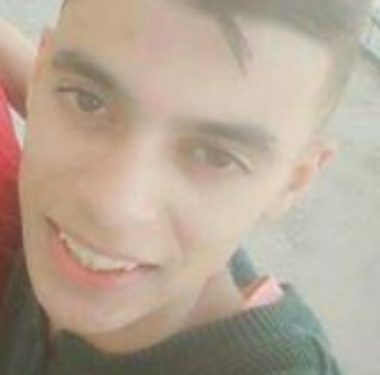 Mu’atasem Mahamid, from Mu’awiya village, and Ahmad Mar’i from Ara-Ar’ara, were arrested by Israeli authorities on 23 July 2017, along with a third youth, Adham D’eif (also from Ara-Ar’ara). A few days later, they were placed under administrative detention, detention without trial or charge. While D’eif was released after the end of the six-month order, Lieberman requested an additional three months of administrative detention for Mahamid and Mar’i, which was approved by the court in February. The court has now approved a new order for a further three months. The detention is based on “classified materials”, and the youths’ lawyer, Nazareth-based attorney Omar Khamisi, has been unable to view any of the alleged evidence. Hundreds of Palestinians from the occupied Palestinian territory are held by Israeli authorities without charge or trial, in orders signed by the Israeli military hierarchy. However, it is more unusual for Palestinians with Israeli citizenship to be subjected to administrative detention, a measure which requires the direct authorisation of the defence minister. In the West Bank, settlement and terrorist activities are continued against the Palestinian and their properties by “Pay the Price Groups, the most recent of which is attacking the towns of Ramon, Burin, Barqa and Beit Iksa, as well as the destruction of hundreds of olive trees and writing of racist slogans against the Arabs, including: “either killing or expulsion, death to the Arabs,” where the occupation authorities provide full political, legal and security protection. For its part, Hebrew sources wrote about those escalation of terrorism against the civilians, including their reports as was disclosed during a hearing held in the Israeli occupation court in Jerusalem to discuss the crime committed by the gang in Jerusalem at the Sheikh Jarrah neighborhood in Dec. 2007, where the perpetrator was a security dealer, but the Israeli authorities did nothing to prevent the crime. In the Beit Iksa village, the “pay the price gang” also wrote anti-Arab slogans on a number of walls of houses calling for their expulsion and killing. They damaged tires of 20 vehicles. 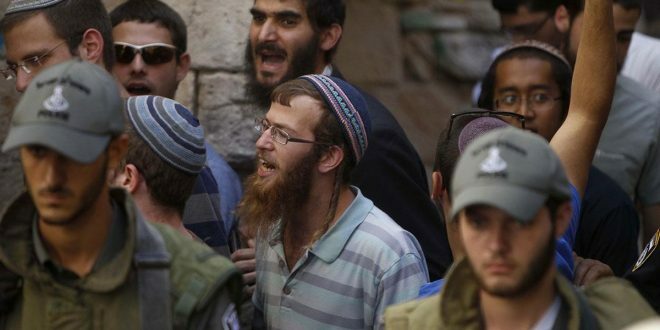 They also called for extensive invasion of the Al-Aqsa courtyards on the occasion of the so-called “Independence of the Jewish State”, which falls on May 13 next. Within the contest of the so-called “Independence Day” celebrations, the Israeli police organized an open day for visitors and settlers during which they displayed some of the weapons they were using. Moreover, the police academy yard near Beit Shemesh was full of settlers and their children, who were being trained to use the rifles. On the level of settlement activity, the Israeli occupation government approved a decision to establish residential housing units on the lands of the Al-Khader town, south of Bethlehem governorate, in basin no. 91 at the Al-Fahm area. The decision was announced via the Hebrew press and news sites to establish temporary settlement units for the settlers, who were evacuated from the settlement outpost of Hatavot that located on the land of the citizens. The Israeli occupation authorities also began preparations for the establishment of a new settlement outpost on the lands of Sur Baher east of Jerusalem, where it will be dedicated to the retired officers at the occupation army. The land is located next to the “Palace of the Higher Commissioner.” Over the weekend, the Israeli occupation forces uprooted dozens of olive trees planted by Palestinians there, where 180 settlement units are being planned as a first step. At the same time, the Israeli government decided to provide financial aid to encourage settlers to carry out commercial activities in occupied East Jerusalem, especially in the Old City through the so-called “Jerusalem Development Authority”, which acts in carrying out Israeli settlement plans including the Church of Sepulcher, the “Aftimos” market, Al-Sharaf neighborhood, which is called the Jewish Quarter, the New Gate in the Old City and the Rabe’a Adaweiah area in the Olives Mountain. It was said that settlers will receive grants ranging from NIS 80,000 to NIS 350,000 under the title of development and establishment of shops and markets in the Old City. Furthemore, the municipality of the occupation in Jerusalem has allocated about NIS 6,000,000,000 to linki the US embassy building with a secondary street of emergency as it is expeted to be shifted to Jerusalem mid-next month. The Municipal Finance Committee has transferred NIS 5.8 million to start paving the embassy’s street that extends from the Arnona neighborhood towards the Diplomatic Hotel. In a dangerous development, the US administration confirmed its continued bias towards the occupation at it replaced the term “occupied territories” into the West Bank and Gaza, and annulled the differences between the West and East Jerusalem in its annual report on human rights violations. On the level of the stances of the Zionist parties on the settlements and its status in any political settlement, the Labor Party conference approved the statement of the party leader and the head of the “Zionist Camp”, Avi Gabai regarding the two-state solution. It is clear from the statement that the party leader calls for controling of the largest area of ​​land, including the occupied Jerusalem and settlements, and to control as much as possible of the land, besides full security control on it. Palestinian detainees being locked up administratively, with neither charge nor trial, in Israeli jails have maintained their decision to boycott Israeli courts for the 76th consecutive day. 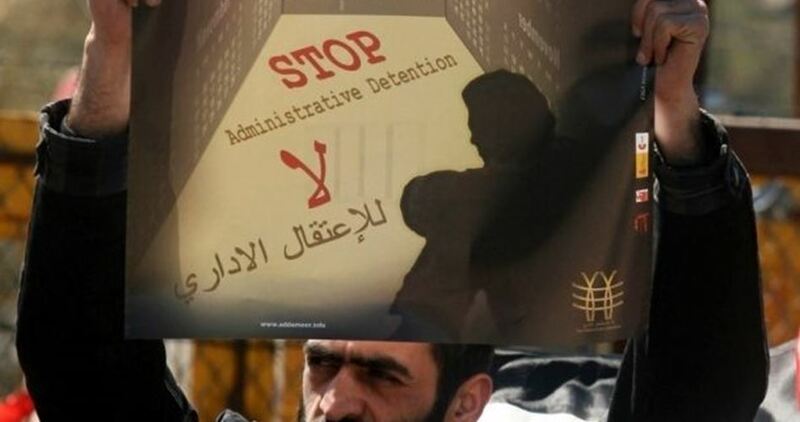 The prisoners started their strike in protest against their illegal detention, as well as due to the dramatic surge in the number of Palestinians sentenced administratively by the Israeli occupation authorities. Human rights sources said the Israeli prison authorities threatened to bring the detainees before Israeli courts by force. There are currently 450 Palestinian prisoners being held administratively in Israeli lock-ups, many among them have had their terms renewed without charge or trial. A number of detainees have been jailed under similar tags for terms that have reached up to 14 years. In 2017 alone, 1,060 administrative detention sentences were issued by the occupation authorities against Palestinian prisoners, down from 1,742 in 2016. Israeli soldiers invaded, Monday, Jaba’ town, south of the northern West Bank city of Jenin, searched homes, injured many Palestinians, including a child who was also taken prisoner, and confiscated two bulldozers. Media sources in Jenin said several army jeeps invaded the town and fired gas bombs and concussion grenades at locals, who protested the invasion, causing many to suffer the effects of teargas inhalation. 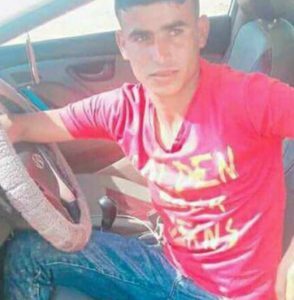 They added that the soldiers also shot a child, identified as Luay Jawdat Malaysha, 15, with a rubber-coated steel bullet, and abducted him. Furthermore, the soldiers illegally confiscated two bulldozers, owned by a local resident, identified as Awad Mahmoud Abu ‘Oun. During the invasion, the soldiers broke into many homes and violently searched them, before interrogating many Palestinians while inspecting their ID cards. Owners of some of the invaded homes have been identified as Ahmad Yousef Malaysha, Mohammad Fayez Malaysha, Mos’ab Fawzi Ghannam and Faraj Ahmad Ghannam. Colonel Larry Wilkerson: Israel does not want to end the war in Syria; it is in their interest to keep this war going, and to keep the Iran Nuclear Deal from succeeding. SHARMINI PERIES: It’s The Real News Network. I’m Sharmini Peries coming to you from Baltimore. The Israeli military attacked several bases in Hama and Aleppo countryside on Sunday. Israel is becoming notorious for their weekly attacks on Syria, targeting Syrian government forces that are backed by Iranian and Hezbollah forces. 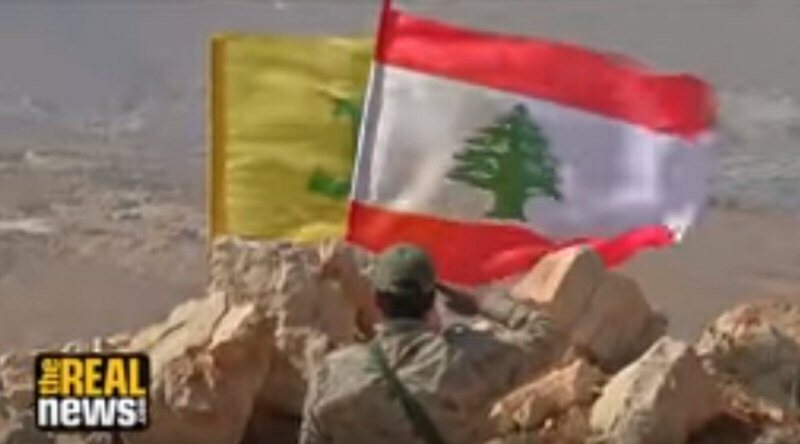 Israel has previously hit Iranian-backed militia outposts in Syria, mainly targeting arms convoys of the Lebanese Shia group Hezbollah. Israel regards the group, which is fighting alongside President Bashar al-Assad, as the biggest threat on its borders. Haaretz, the Israeli newspaper, reported that some 200 missiles were destroyed and 11 Iranians were killed in the process, which Iran denies at this time. In the meantime, Netanyahu has been granted war powers authority in extreme situations by the Knesset, with only the defense minister’s approval. This in spite of the fact that the Joint Committee of Foreign Affairs and Defense Committee, as well as the Constitution, Law, and Justice Committee all rejected Netanyahu’s request for such powers.On to discuss all of this with me is Larry Wilkerson. Col. Wilkerson is former chief of staff to the Secretary of State Colin Powell, and now a distinguished professor at the College of William and Mary. Thank you so much for joining me, Larry. LARRY WILKERSON: Good to be here. SHARMINI PERIES: Larry what is the purpose on the part of Israel pursuing this kind of aggression in Syria, antagonizing Iran at a time when this war is actually coming to a closure? LARRY WILKERSON: Israel does not want it to come to a conclusion. Israel sees, as do the neoconservatives in this country, and some others allied with them like Richard Cheney, they see this chaos in the Middle East as conducive to their security. Not only as conducive to their security, but also as sort of allowing them to do their full greater Zionist strategy, which is to get as much territory as they can as fast as they can, to include the water in that territory, which is becoming a rather critical issue for the entire region but for Israel, certainly. And they want this condition to continue. They want it ultimately to lead to the breaking up of Syria, the breaking up of Iraq, if it can happen, and the regime change in Iran. And they see this chaos and this constant conflict in the United States instrumental to that as being strategic means by which to accomplish this purpose.So they are in no way wanting this conflict to end. They want it to continue, and to continue and continue. That’s Israel’s policy. SHARMINI PERIES: So, Larry, what’s going on in Syria at the moment? There’s some conflicting reports. We are hearing from Haaretz in particular that some 200 missiles were destroyed by the Israelis on Syria, but now we are hearing that it’s much fewer missiles and some drone attacks. What are you hearing? LARRY WILKERSON: Well, if we’re hearing it from Haaretz it’s probably accurate. That’s one of the few sources of media in Israel that you roughly can trust anymore. I think what I’m hearing, though, is not unlike what I just conducted in a simulation here at William and Mary with my students playing, role playing the members of the National Security Council. U.S. and National Security Council. And that is that Bibi Netanyahu and Avigdor Lieberman, his defense minister, or Likud in general, though I’m hearing that there’s some infighting in Likud, even, are, one, trying to emphasize everything they can about Iran’s perfidy so that they make sure that on May 12 Donald Trump exits the nuclear agreement with Iran.The second thing I’m hearing, and this is more fundamental, this is what we actually exercised in my simulation with my students, is that Israel is preparing everyone in the region, itself, the United States, its sugar daddy, for more robust Israeli military action inside Syria, and possibly inside Lebanon as well. This action would be aimed primarily, initially at least, through air attacks at those storages of missiles and other munitions by Hezbollah and Iran inside Syria, and those elements of Iranian forces inside Syria that Israel feels are, in short, getting too close, and so they need to be taught a lesson.As far as what’s going on right now immediately, I’ve heard that the plumes, the explosions, the degree of rocketry, if you will, bombs dropped, whatever, was quite dramatic last night. That it lit the night sky for a range of distance and time that sort of looked a little like the opening of the war in Iraq in March in 2003. And that the Israelis were very serious about several places, you mentioned Hama and you mentioned Aleppo, that they knew the Iranians had missiles backed up and Hezbollah had missiles, and so forth. So they struck them. I think we’re looking at what could grow and grow and grow, as Israel finds no check on its power, and finds that it is actually delivering body blows, so to speak, to both Hezbollah and Iran inside Syria. So look for more of this. SHARMINI PERIES: Now, Larry, Haaretz is reporting that 200 missiles were launched and some 11 Iranians have been killed, but the Iranians are denying that. Why are they doing that? LARRY WILKERSON: I think some words I heard out of Israel, actually out of the Israeli Defense Force just a few moments ago, were that Iran was going to deny that any Iranians were killed because then that would mean immediately Iran has to concoct some kind of reaction, actually respond with military force or in whatever way they would deem appropriate to respond. Saving face, you might call it. So Iran doesn’t admit that any Iranians were killed. But that same Israeli source, for me, said that Iran will respond. They will respond in time, and in the means, by means that they find conducive to their interests, so Israel had best batten down the hatches. There will be a response.I don’t know which of those is more accurate. I suspect that the figures I’m hearing of 16 or 17 Iranians killed is probably accurate. And what Iran will do in response to that is probably in accordance with that second Israeli interpretation, and that is that they will do something, but we’ll not see it for a while. And we may not see it at all, but Israel will certainly feel it. What that means is probably other than conventional military strike. It could mean Hezbollah missiles. That’s what Netanyahu and Lieberman, I think, are trying to elicit. They would like some missiles shot at them. That’s their excuse for doing even more, and perhaps even entering the fray with armored artillery and other forces than just their air force. So this is precisely what Netanyahu a nd Lieberman would like, is an excuse to do even more. SHARMINI PERIES: All right, Larry, finally, we know that the new Secretary of State Mike Pompeo swiftly took off on a trip to Saudi Arabia, and I understand he’s landing in Israel this morning. What is this trip about, and is this convention, as far as Secretary of State is concerned? LARRY WILKERSON: I find it rather alarming that this would be the first trip that Secretary of State Pompeo would make without even having lit, apparently, at the State Department for a moment or two. And coming on the heels of Trump’s visit to Riyadh and his sword dance, and all the other things that came out of that, I find it very, very indicative of the amateur hour that this administration is that we would choose to demonstrate these kinds of priorities in the world. He did stop in Brussels. He did go to NATO. So the more important things in the world he apparently has brushed off, and moved on to Jerusalem, Riyadh, and so forth.This is an alarming condition of this amateur hour and White House right now, that they see these places as being most critical to U.S. security. They are not. If you want what they are most critical to, it is Israel’s security. And that’s why Pompeo is there, and that’s why Trump went to Riyadh. So we’re talking about, again, a single state having this kind of influence over U.S. foreign and security policy. And with the amateurs in the White House and the amateur at Foggy Bottom right now, that is an even more deeply concerning issue for me, that this would be what they would do right off the bat. SHARMINI PERIES: And, Larry, is there anyone challenging this kind of foreign policy approach on the part of the administration there in Washington? LARRY WILKERSON: There doesn’t seem to be. Not from inside or from outside. You look at President Macron’s recent visit, Angela Merkel’s recent visit. You look at what’s coming out of Theresa May in London and what’s coming out of Europe in general. It’s as if Trump has them kowtowed, or he has them kowtowing to him. He has them stymied. All the 16 trillion dollar GDP, the power of Europe, is in abeyance as the United States does its unilateral thing in the world. It’s quite disturbing to see this kind of thing happening, and to see the United States action being the ingredient , the elixir, the magic, if you will, in this turning of the transatlantic relation even into another tool of U.S. unilateral foreign policy, and that, too, being aimed principally and primarily at the state of Israel and that state’s security. I don’t, I don’t think that should be the number one priority of the United States of America right now. SHARMINI PERIES: Larry, as you said, Macron’s visit was swiftly followed up by Angela Merkel in Germany. And there was speculation in the foreign policy community that this was in order to ensure that Donald Trump would keep the Iran nuclear agreement intact, which is all up in the air at the moment. But it seems that that was not a very effective in terms of their ability to convince him. What are your thoughts on that? LARRY WILKERSON: Well, I think it was sound speculation that that was one of their purposes for coming, if not the primary purpose. But I don’t think, I think you’re right, too, I don’t think it worked at all. And what I saw was two leaders who essentially retreated to their fortress in Europe without a clue as to what to do in response to a recalcitrant American president who is going to do what he’s going to do, primarily for domestic political purposes, regardless of what they say or do. I think that was an eye opener for them in a series of eye openers for them. But I see no courage in their response to this point. SHARMINI PERIES: Larry, I thank you so much for joining us today.